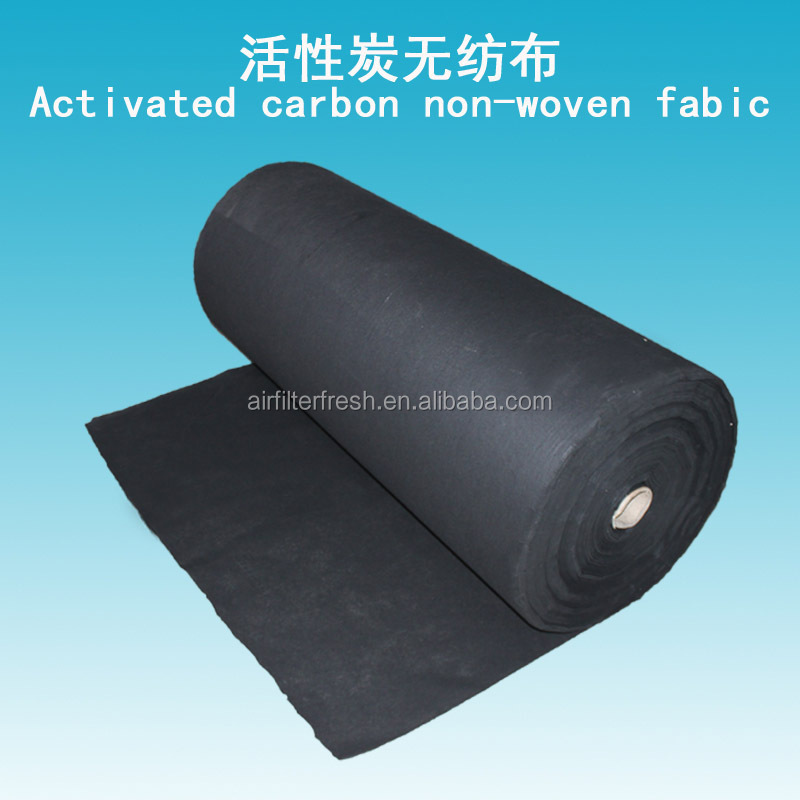 Adopted special superfine fiber and coconut activated carbon material. 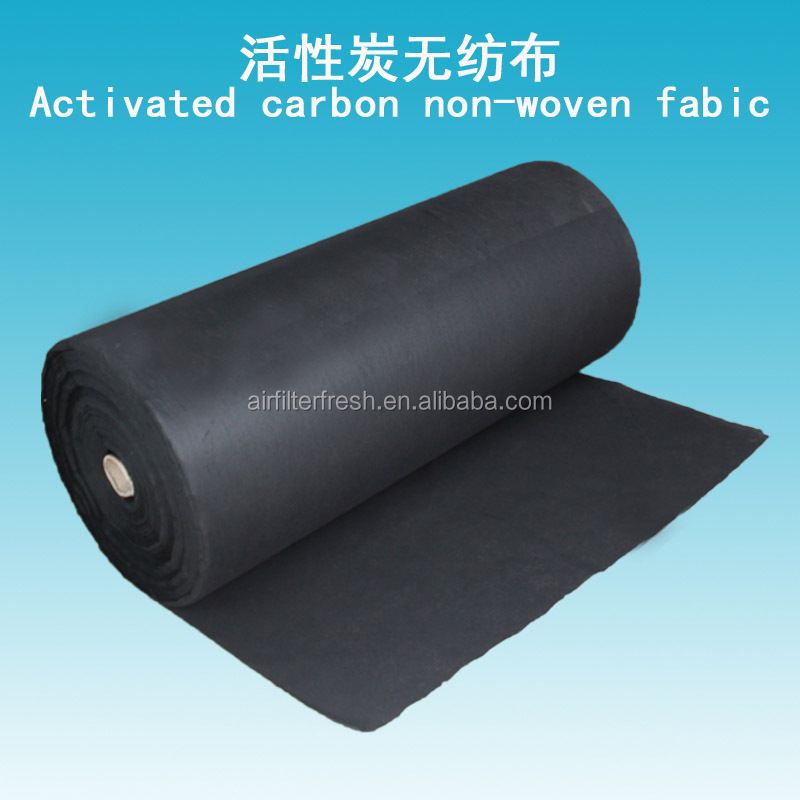 uniform thickness, high-carbon amount, no peculiar smell, good permeability, activated carbon particulars are not easy to drop. 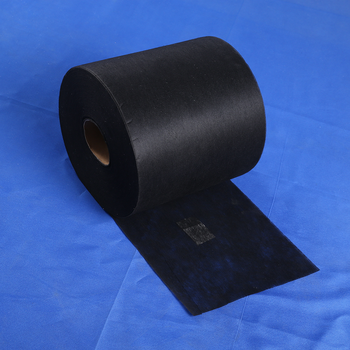 this product is applied to antigas and dustproof mask, clothing, shoes and caps, decoration industries and living health care products etc. 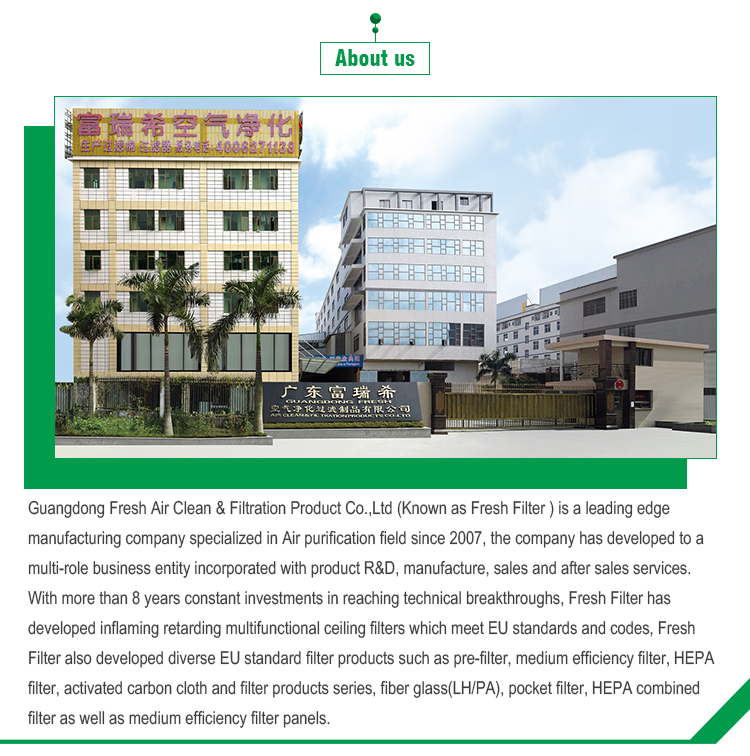 We are a full range manufacturer of all kinds of air filters, efficiency from G3 to H14 since 2007. 2.What is your order process? 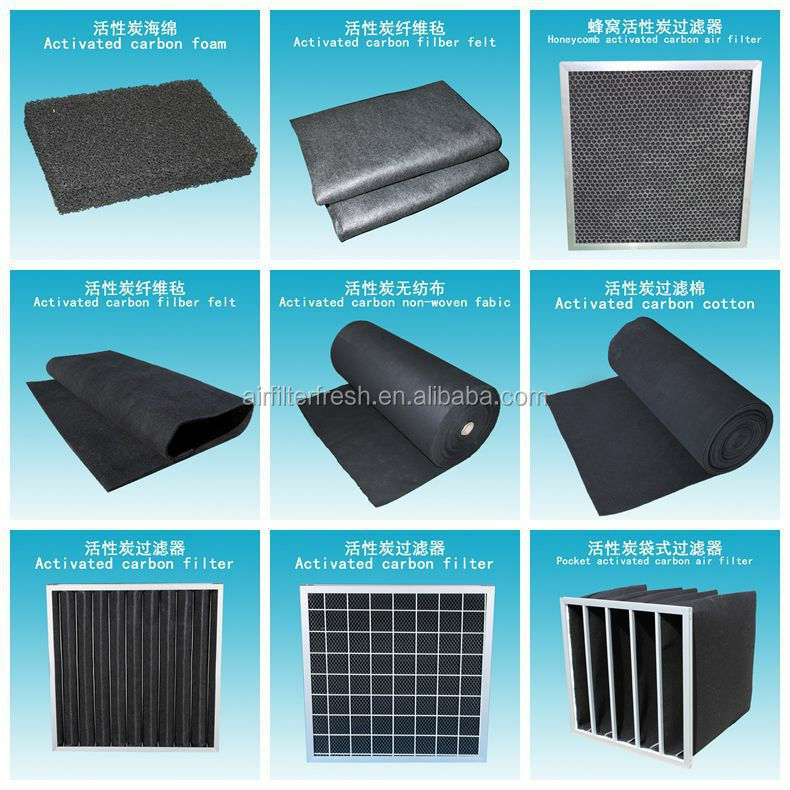 a.Inquiry phase: we are open to speak with either through Alibaba.com or our company email or individual key account managers within Fresh Air Filter Company. b.Quotation phase: cost-effective quotation(s) will be sent to you to for your acknowledgement. Commercial offers can be negotiated when you can furnish further technical details or commercial background so we can determine or adjust accordingly. c.Sample confirmation before ordering & mass production: FOC samples will be couriered to you for final confirmation before ordering; however for remote countries, we may charge air courier at only cost level; when any further volume order placed to us, we will credit/refund the air courier cost that you previously paid to us. 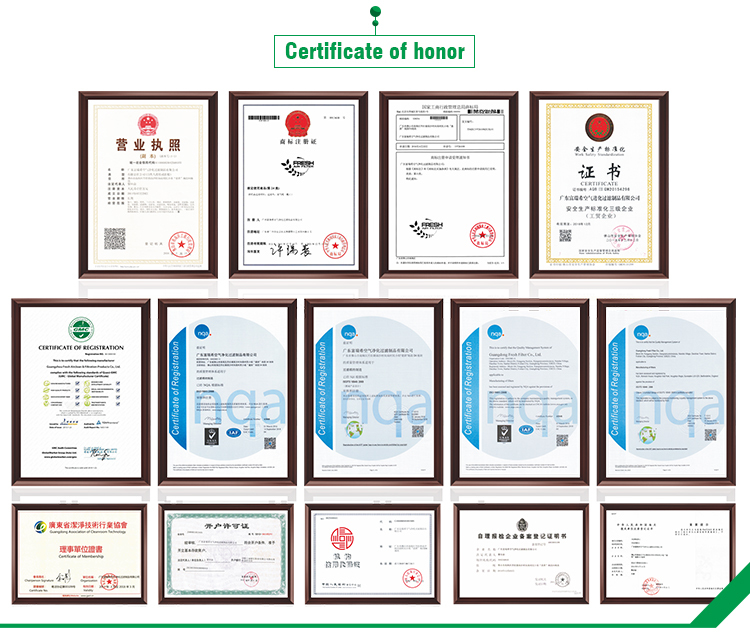 d.Payment terms/Payment method: Our standard payment terms is 30% down payment against P.O or order acknowledgement, 70% balance before shipment. 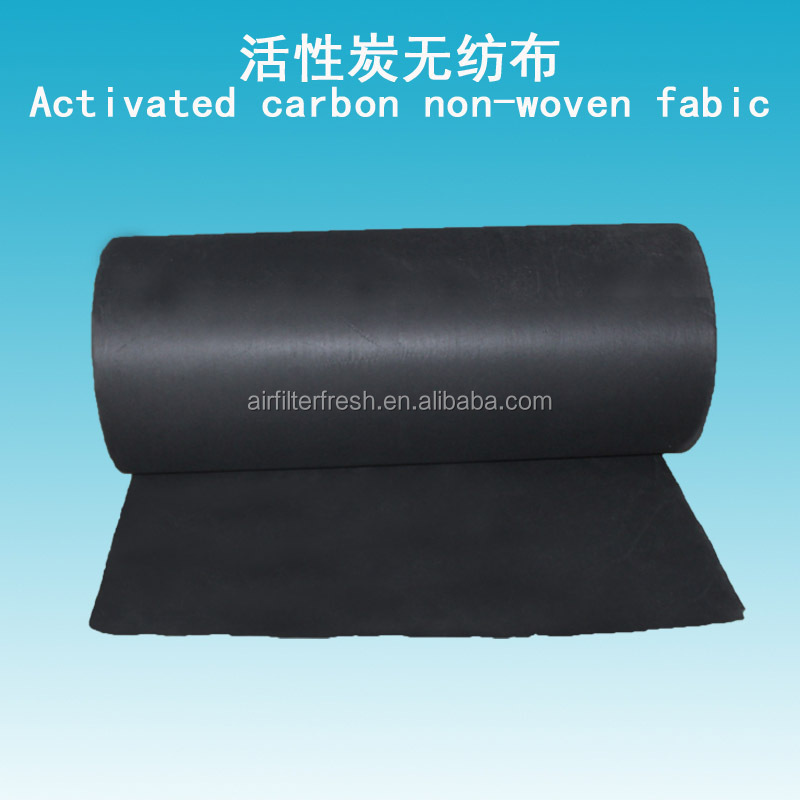 3.Do you accept any OEM/Customization orders? 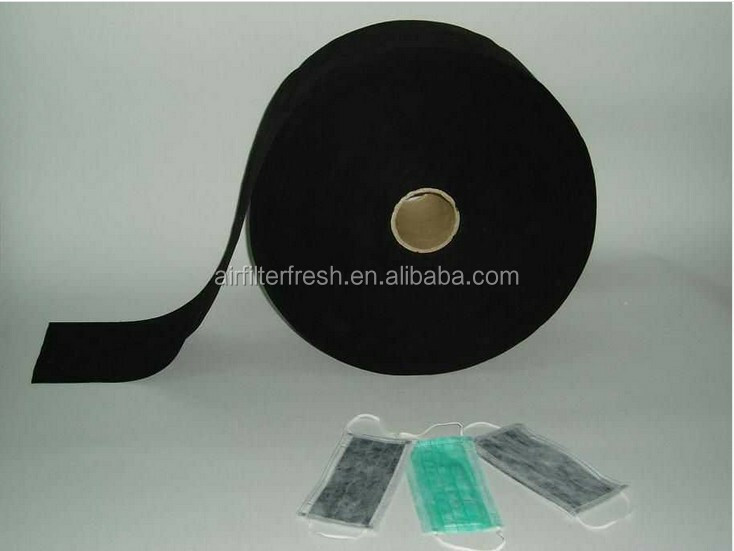 Yes, we are open to all OEM orders, once your Logo is granted to be used by us from you. 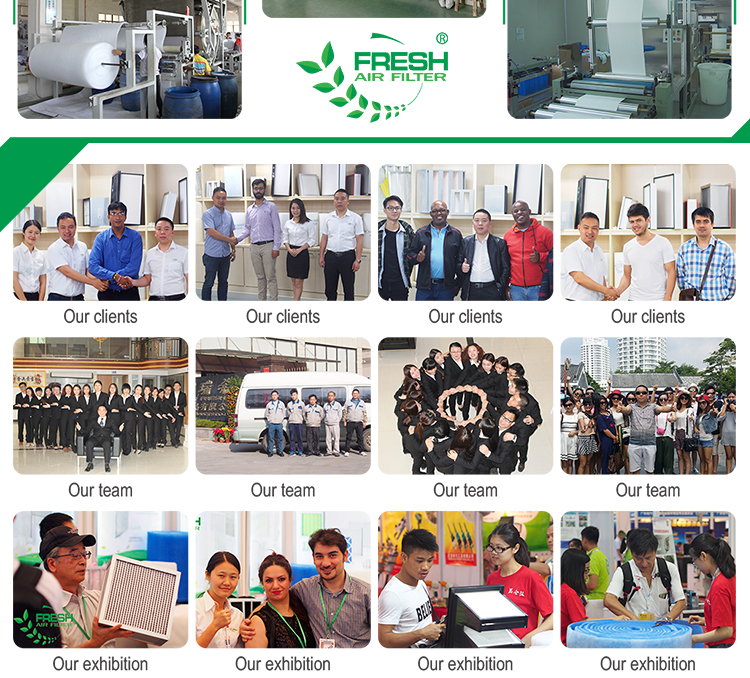 We fully understand all ventilation projects/tenders are customized normally, thus we are open to size/spec customization. 4.What is your standard Lead time / Delivery Schedule? Shipping/Transit voyage time: this will be up to the destination port. 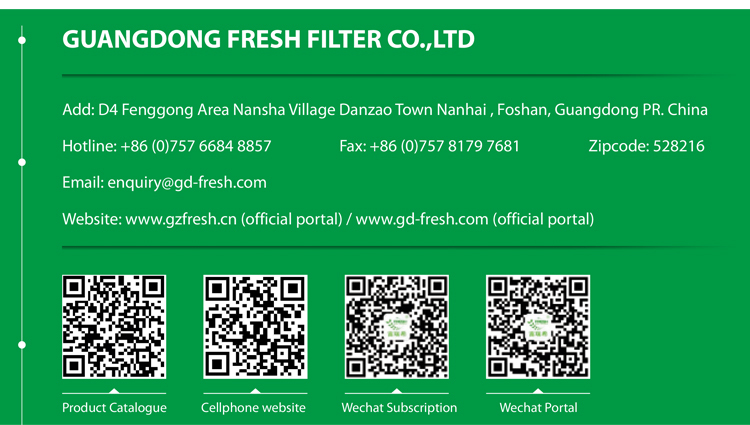 Peak season NB- Every Feb, March during Chinese Festival Holiday, please always prepare the order(s) prior to the CNY holiday in order to avoid peak season. 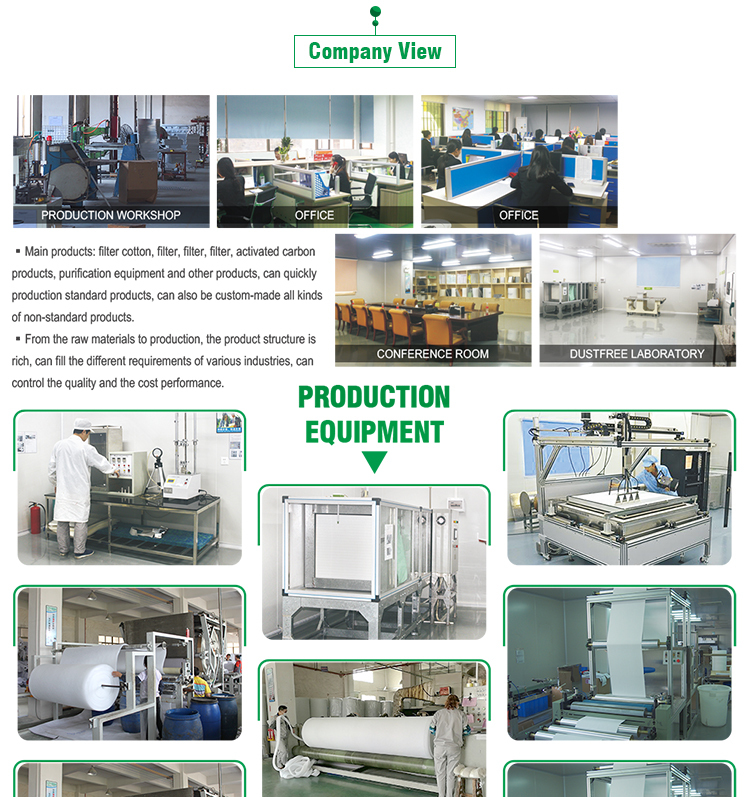 5.May I visit your Factory/Manufactory/Plant? 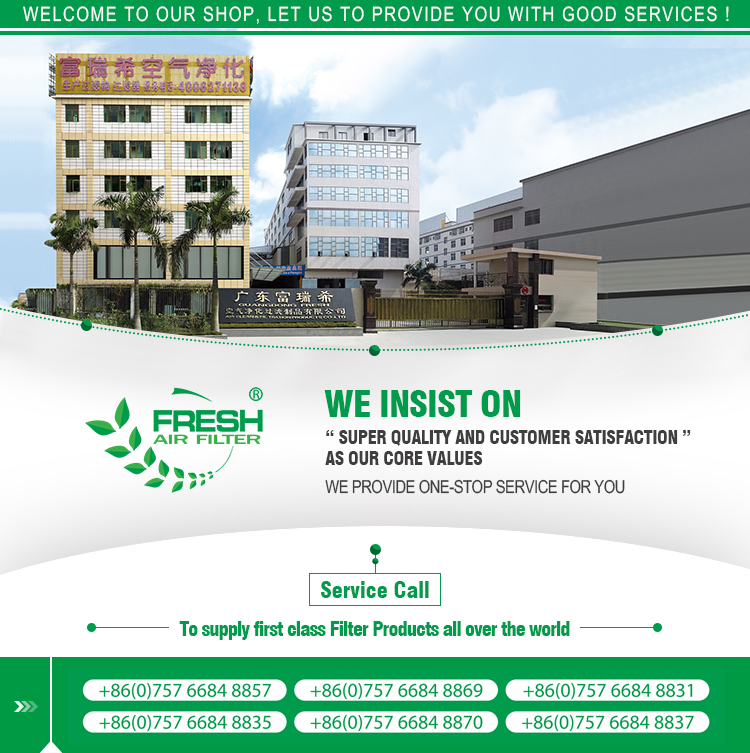 You are mostly welcomed to visit our factory, once you confirmed your schedule, Please inform us prior so we can plan the car pick-up also hotel reservation for you. If you need any visa support, please send through your Passport first page scanned copy so we will issue Invitation letter for your visa application.